Mobile payments are becoming more common. Many small businesses enjoy the lower associated costs and easier use compared to traditional wired payment processing. Using a mobile payment system provides many benefits to your customers, but are you properly communicating those benefits to them? Before moving on to the branding discussion, it’s a good idea to review and understand the benefits your customers will receive. This will help you with your advertising efforts. You eliminate the need to carry cash or cards. Depending on the type of payment system you implement, your customers may be able to pay by simply waving their mobile phones near a scanner. 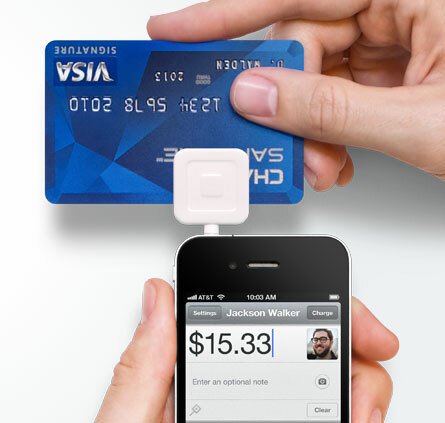 You can enable credit card payments. Even if you don’t get a system that lets your customers pay with their phone, you can gain a lot of sales by offering credit card payments. Mobile payment systems make this a far more affordable option for you than leasing or buying equipment and paying monthly fees to a traditional credit card merchant. You can integrate incentive programs. If you integrate loyalty and incentive programs into your mobile payment app, your customers won’t have to keep track of punch cards or tags on their key rings — everything’s stored in the app. This will encourage your customer to return and purchase from you again. You’ll increase checkout speed. With fewer people fumbling in wallets for cash, your customers will spend less time in line, waiting to pay. Once you’re all set up for mobile payments, it’s time to get the word out to your customers. The most effective way to do this is to integrate your new payment system into your branding efforts, through advertising. This is especially powerful if you’re the only business in your niche offering mobile payments in the area. You can either start small, by just adding a line to new print or radio ads, mentioning that you now accept mobile payments. Or, you can create a bigger campaign with a radio or TV ad that focuses on how much faster and easier it is for customers to pay at your business than at a competitor who’s still using traditional payment processors. Social media is a powerful way to get the word out about just about any news these days — and your new streamlined checkout system is no different. Mention it on social media, and encourage happy customers to tell their networks about it. You can create an incentive (such as a discount on their next purchase) for people who share the news about your shorter checkout times. If you have a large social media following, this can be one of the most effective ways to advertise. Implementing a mobile payment system is only half the battle. With a little planning and strategy, you can let all of your customers know how much easier it will be to shop with you. Once the word is out, they ―and you― can reap the benefits.